It’s always best to trust any service on your electric opener to experts in the field. And when it comes to garage door openers repair Houston services, you won’t find a more experienced company than ours. We have spent years in this field and keep getting updated with the novel openers and all changes in the industry and so is every technician sent to you for services. So, next time you encounter a problem with the garage door motor, simply turn to us for prompt response and expert service. Got issues with the Genie opener? Need to fix a chain drive motor? 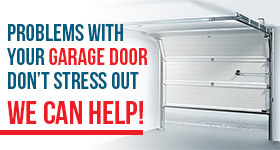 Call in the garage door repair masters in Houston. Our company is an expert in all openers, the largest brands, and all relative services. We also understand how stressful opener problems are and so send out a tech promptly every time you reach out to us for repairs. The techs share our commitment and have the expertise and skills to troubleshoot and fix openers regardless of motor type and brand. Whether you need Marantec or LiftMaster garage door opener repair, trust the problem will be fixed in a correct manner. Feel free to call us for any garage door opener service. Do you want to fix Craftsman opener problems? Is it time to replace the opener from Sears? Need to maintain a Chamberlain opener? Contact our company with your service needs and a Houston opener service expert will promptly come out to do the job for you. Whenever an opener is replaced and thus a new one is installed, trust that the service is done with accuracy. The garage door opener installation service is always appointed to masters in the field that make sure every part is properly fitted and all adjustments are made with accuracy so that there will be no problem in the future. Why let opener concerns upset you? We cover all needs in a professional, fairly priced, and timely way. 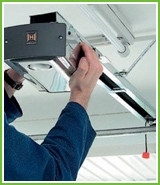 And all you need to do to receive garage door openers repair in Houston, Texas, is call our company. So, go ahead and make that call today.